Scion tC has been the annual Toyota Pro/Celebrity Racecar ever since 2005, but things have changed for the 2013 model year. 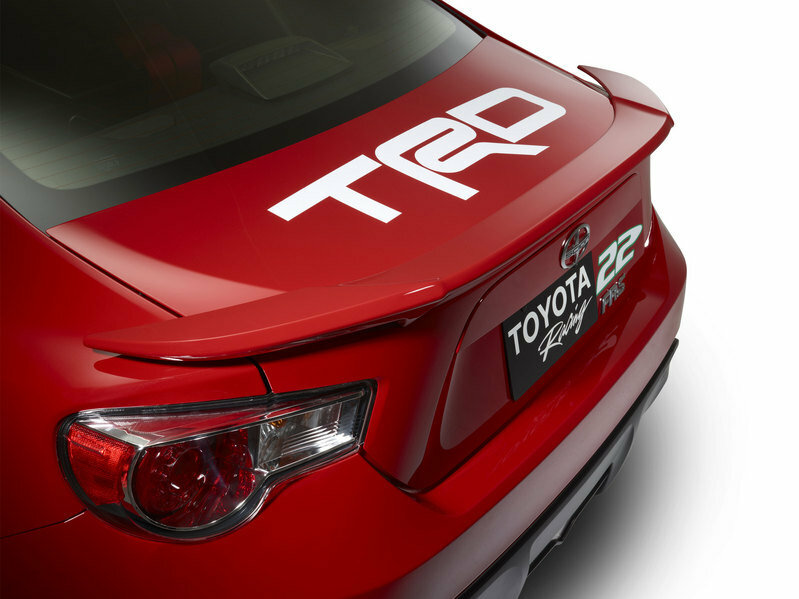 Toyota has decided to switch from the usual tC to the newer and more capable FR-S. 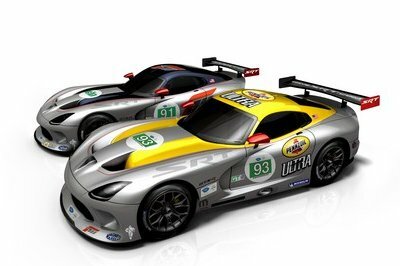 The model has been specially designed to celebrate the 37th anniversary of one of America’s most entertaining motorsports events. The standard Scion FR-S delivers a total of 200 horsepower, which isn’t too shabby. 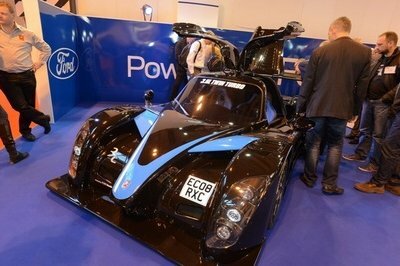 In the race version, however, the 2.0-liter boxer engine has been tricked to deliver a total of 210 horsepower. Along with the 10 extra horsepower, this race-ready FR-S has been equipped with numerous other enhancements from Toyota Racing Development (TRD): stainless-steel exhaust, coil-over shocks and springs, big-brake kit with Hawk Performance brake pads, performance air intake and a set of 18-inch wheels. 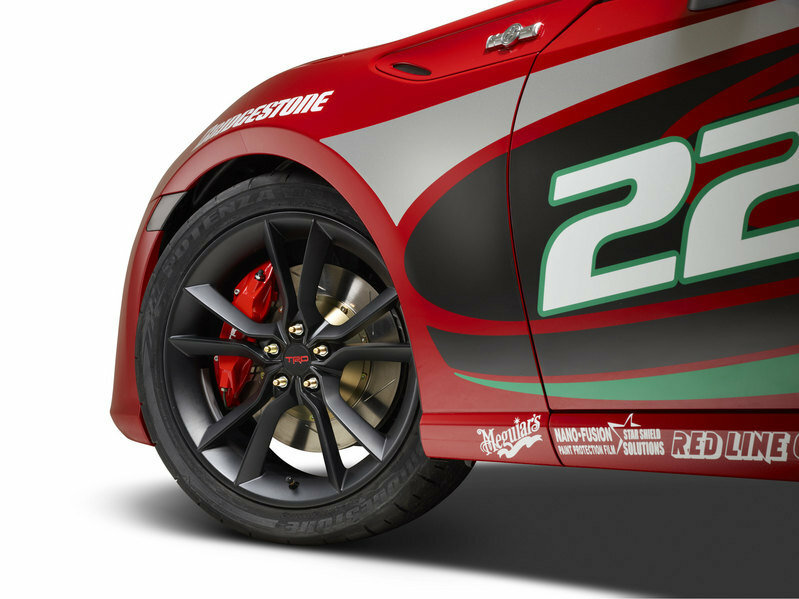 In order to deliver the maximum performance while on the race track, TRD also installed a Centerforce single-disc racing clutch, front MacPherson struts and rear double wishbone suspension. The extra ponies shouldn’t do too much in terms of enhancing its performance, but the updated clutch should drop a tenth of a second off of its base 0-to-60 time, and the new braking and suspension components should help it in the twist. Toyota didn’t offer any specifics on what’s inside the cockpit, but the images tell us all we really need to know. 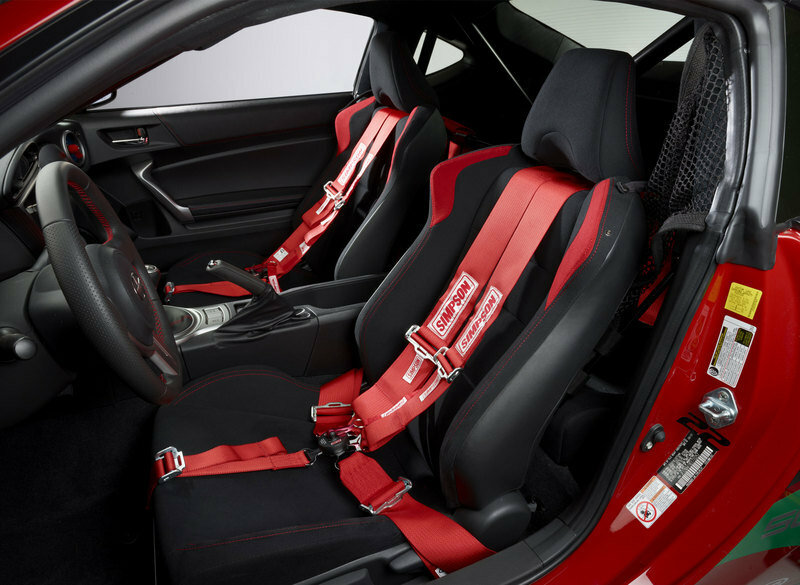 We can see that the front seats remain from the base model, but the rear seat backs are gone, a roll cage was installed and a set of red Simpson racing harnesses keep the driver and passenger save. 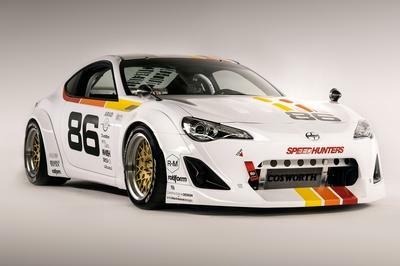 Toyota Motorsports and Scion announced today that the Scion FR-S sports coupe will be the official vehicle of the 2013 Toyota Pro/Celebrity Race. 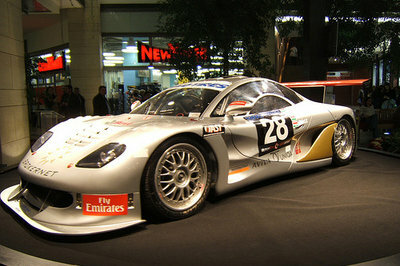 This first Pro/Celebrity race-ready vehicle is making its debut here at the Chicago Auto Show. The 2013 Scion FR-S Toyota Pro/Celebrity Racecar looks fun since the cars are pretty fast. I like the red color of the car and the red seat belts look very nice.